As part of Julphar’s commitment to improving the quality of life of people with diabetes in the MENA region especially through making the worldwide leader in continuous glucose monitoring “Dexcom” available, Julphar took part in the 3rd Annual Arab Pediatric Endocrinologists’ Conference (ASPED) and the 4th Diabetes Educators conference that were held in Intercontinental Hotel – Jeddah on the 7th and 8th of December, 2016. The conference was organized by the Saudi Pediatric Association in collaboration with King Abdulaziz Medical City (National Guard) with a scientific program that included many educational lectures and training workshops, presented by an elite group of international and regional speakers. 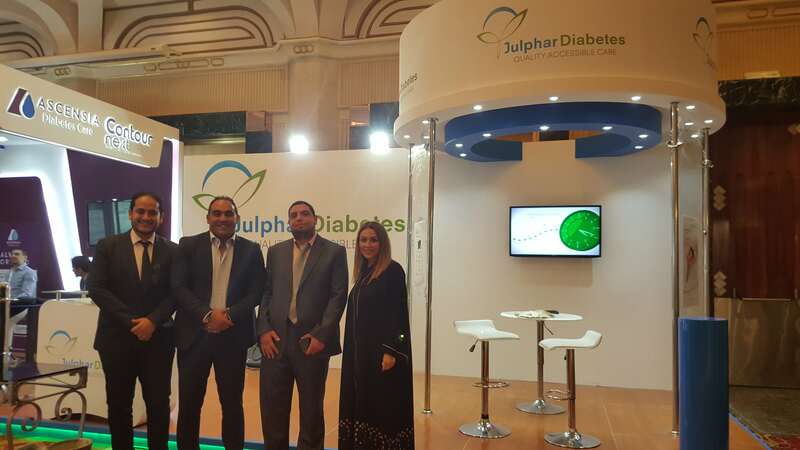 The conference was attended by specialists from all around the Arab countries who visited Julphar Diabetes’s booth. In addition, Julphar conducted practical workshops on the remarkable features and benefits of Dexcom G4 Platinum as part of the Diabetes Educators’ conference program.